We get a lot of inquiries for Seattle Houseboats for rent. 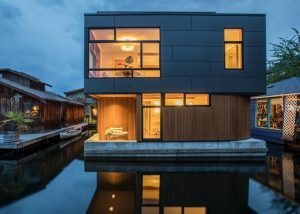 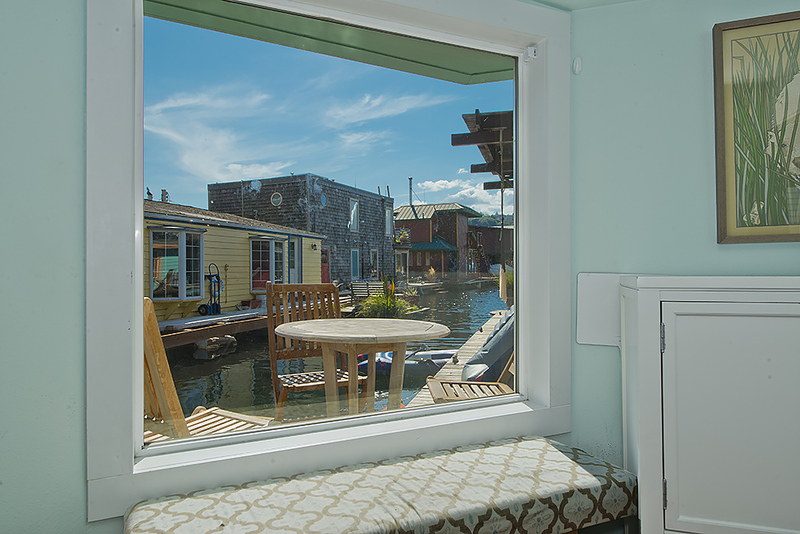 Have you ever wanted to know what it’s like to live on a Seattle floating home before purchasing one? 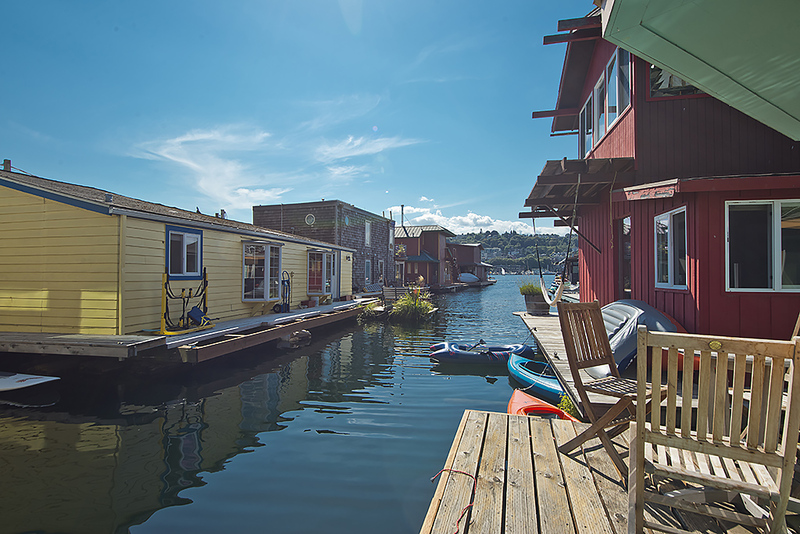 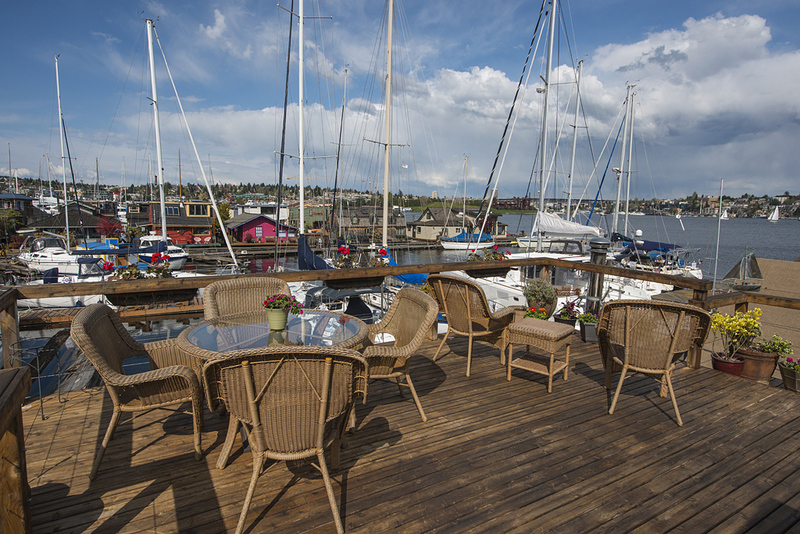 Houseboat rentals in Seattle are difficult to come by, but here’s your chance! 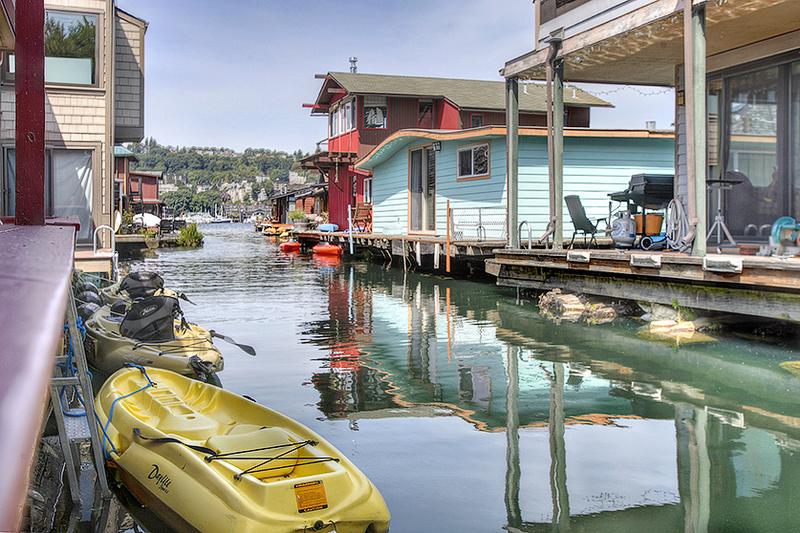 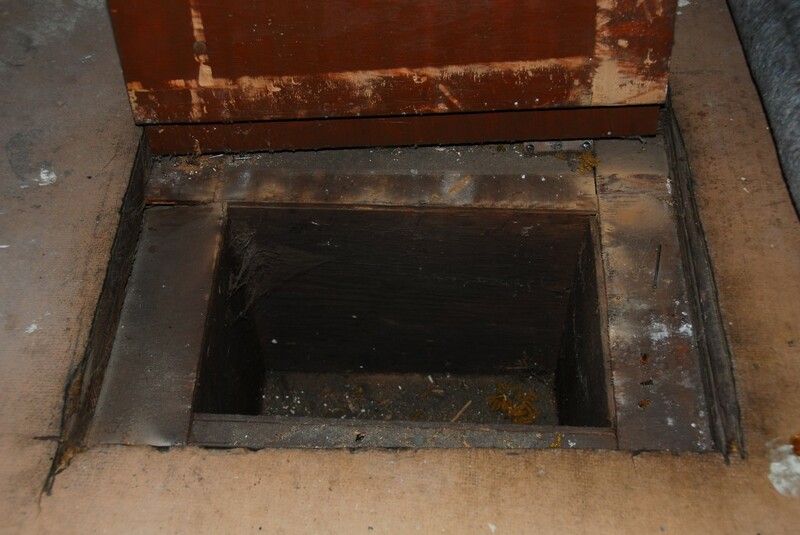 And… It is in Eastlake! 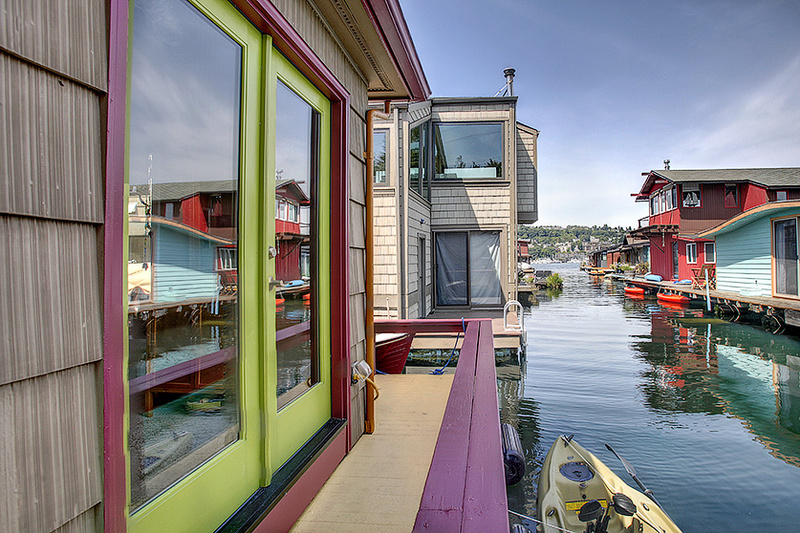 Eastlake is usually the first place people are interested in looking at Seattle houseboats. 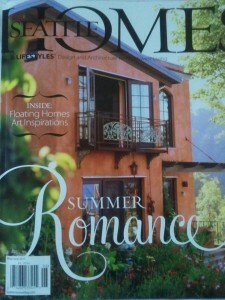 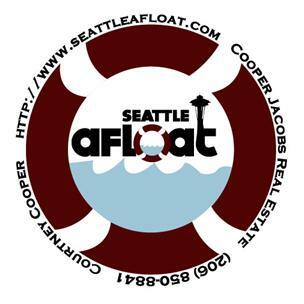 Well, after they ask about the Sleepless in Seattle houseboat which is actually across Lake Union in Westlake. 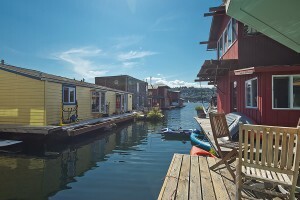 Back to the exciting news: Looking for Seattle Houseboats for rent? 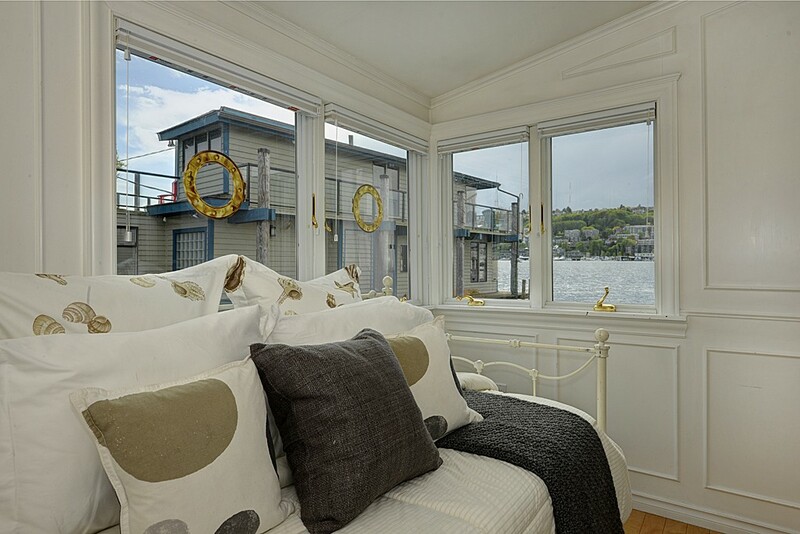 They are few and far between so don’t miss out on this one!An amazing opportunity in Eastlake arises on Lake Union. 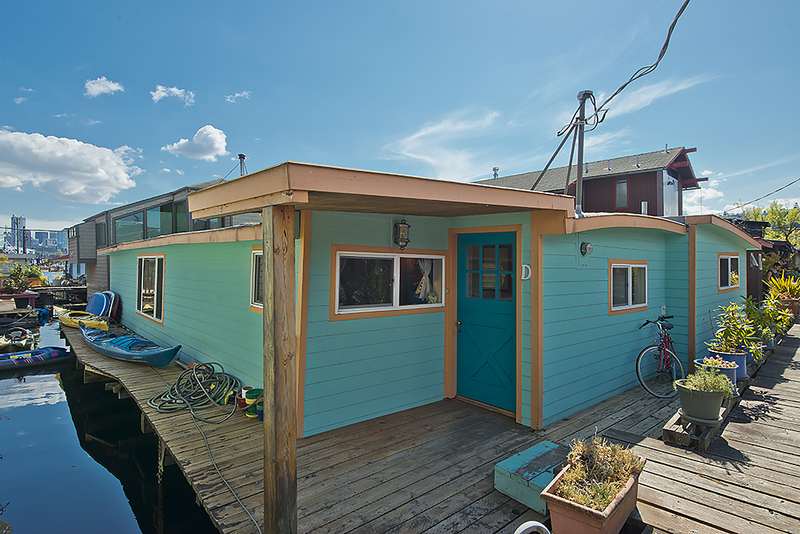 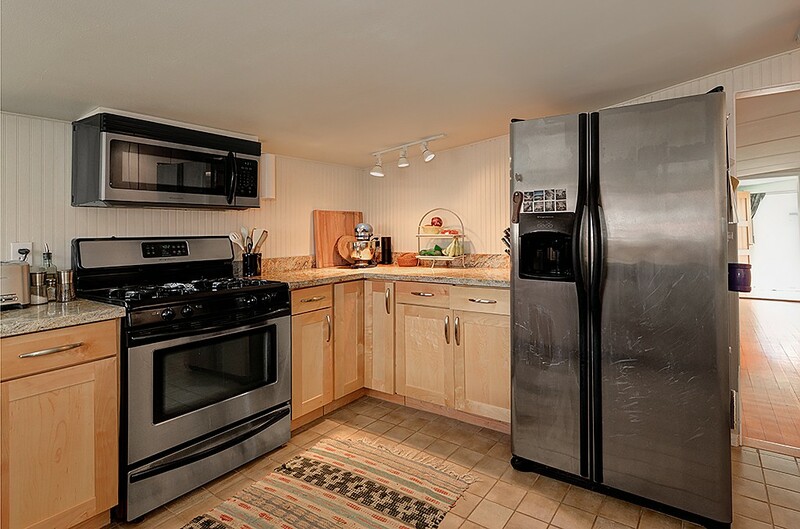 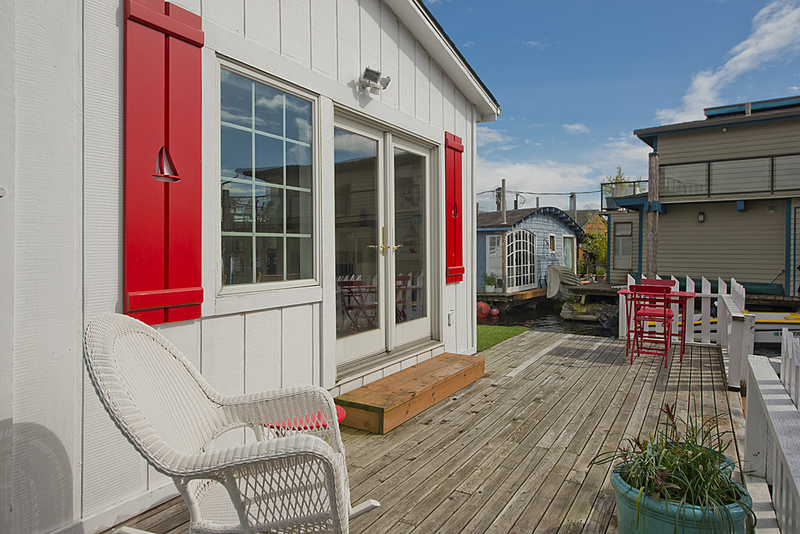 Visit the open house to check out this adorable floating home available November 1st to rent. 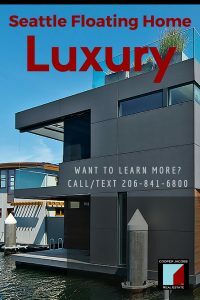 $3100/month. 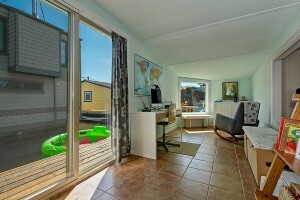 First and last month’s rent required plus a $1000 damage deposit for move-in, cats okay with additional $500 deposit per cat. 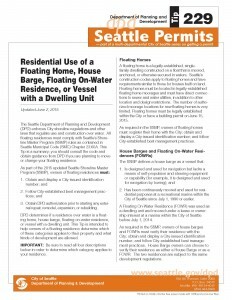 Small/medium dogs will be considered for an additional $100/month. 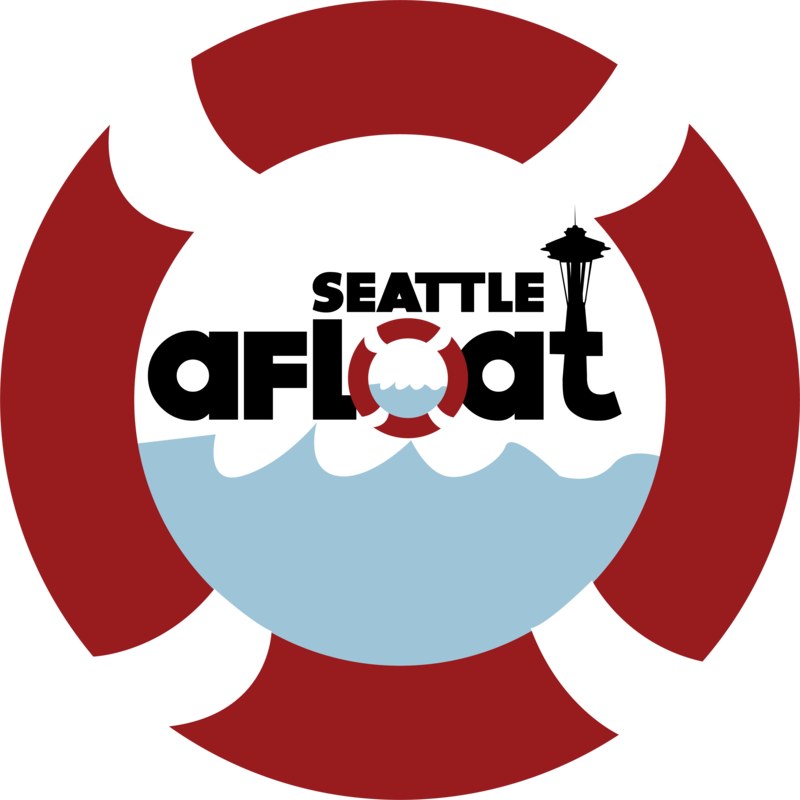 Very cool perk: Utilities (water, sewer, garbage) are included. 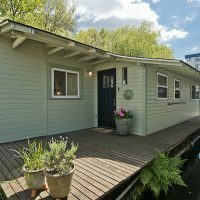 • Rare Large Channel in front of this houseboat. Plenty of water to turn your boat around, swim or get familiar with a paddle board. 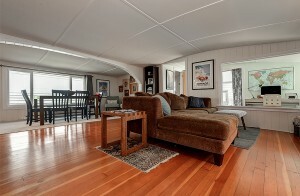 Plus the views! 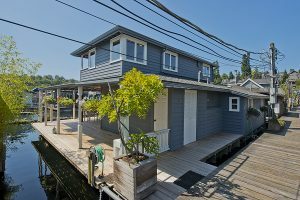 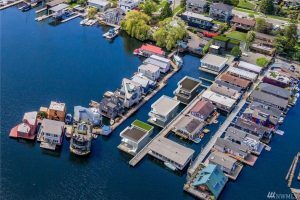 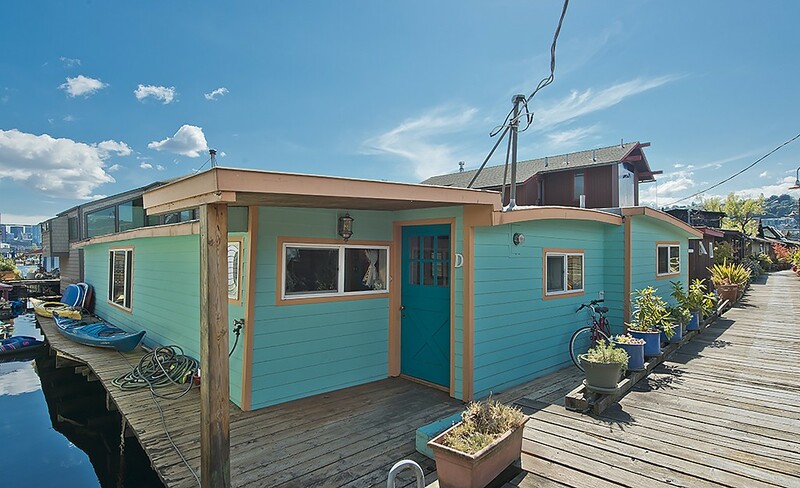 There are some great Seattle houseboats for sale out there, but this lovely Eastlake floating home is making its debut for the first time in a very long time. 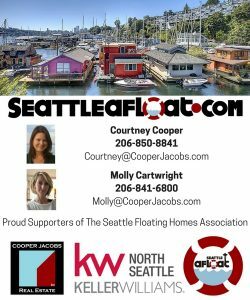 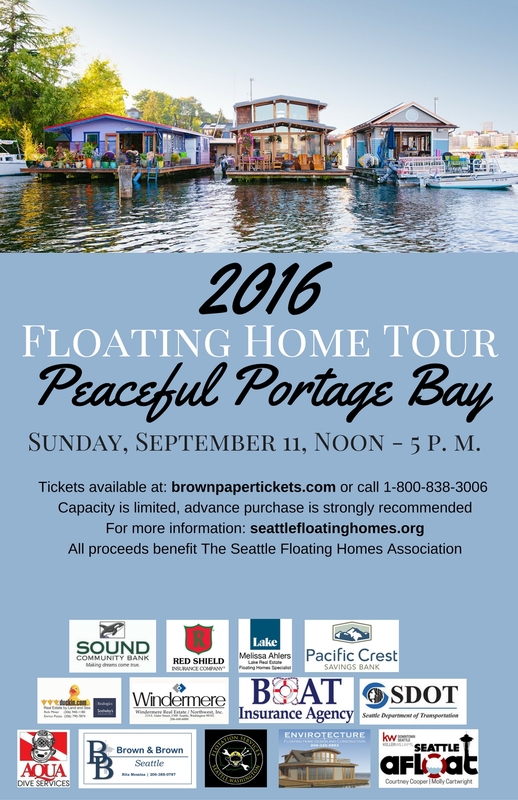 Want to learn more about Seattle Houseboats ?